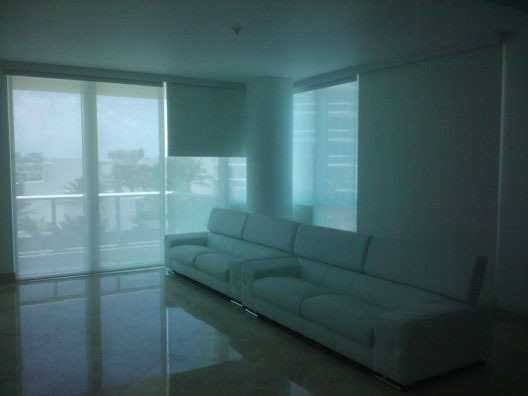 One of the most popular products that we install in Miami and Port St. Lucie are also one the most practical! 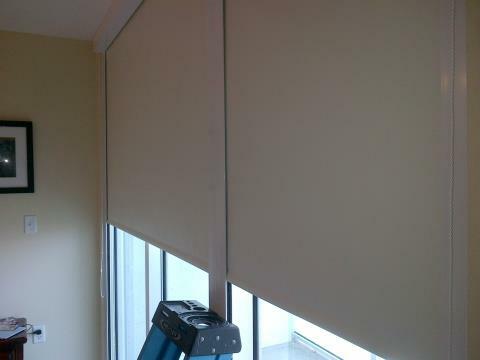 Blackout shades provide blockage from both the light and the heat of the sun. With the South Florida climate, this can save owners hundreds of dollars on a yearly electrical bill, not to mention a little extra sleep in the morning! 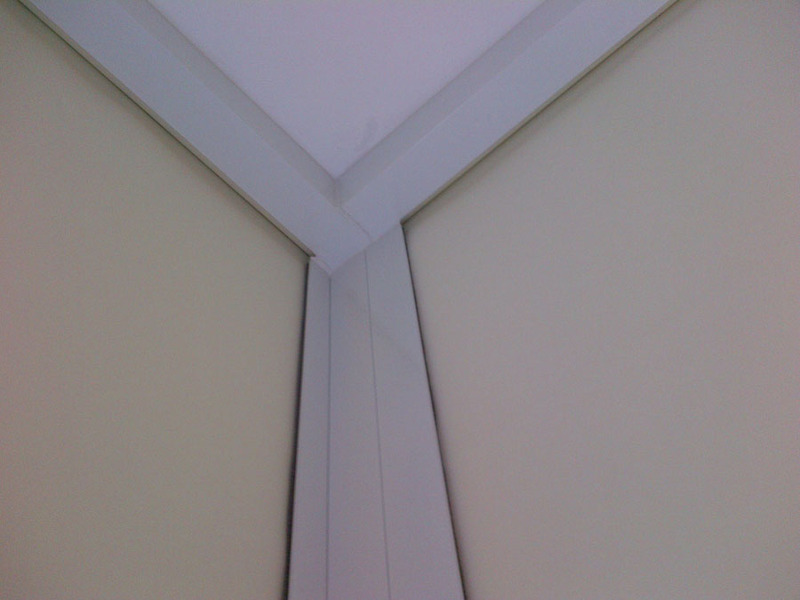 Our blackout shades have options such as side channels and fascia covers, which help seal out the light even more by eliminating any light that may seep in through the gaps. Both of these options are constructed out of aluminum with a powder coating that will blend in with your window frame to give nice clean look to your window treatment. Our selection of blackout fabrics block 100% of the light and are available in several different textures and colors. Our blackout shades use the same clutch system as our solar shades, and also come with a lifetime guarantee in Miami and Port St. Lucie! 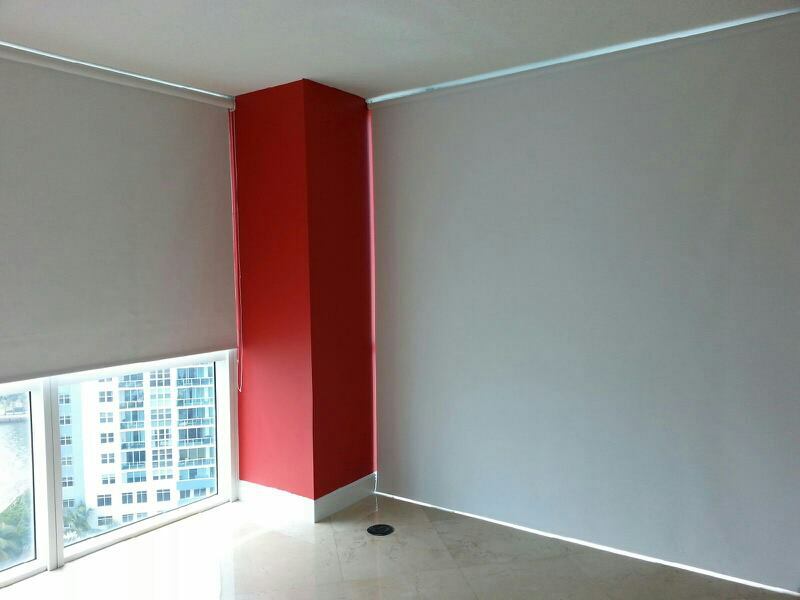 You can view more pictures of our blackout shades and solar shades in Our Portfolio section by clicking on the Roller Shades. We offer onsite price estimates for the following areas in Miami-Dade: South Beach, North Beach, Bal Harbor, Sunny Isles, Downtown, Brickell, Wynwood, Key Biscayne, Coconut Grove, Coral Gables, South Miami, Miami Shores, and Kendall. We offer onsite price estimates for the following areas in St. Lucie County: Port St. Lucie, Fort Pierce, Hutchinson Island, Indian River Estates, Lakewood Park, River Park and White City.